In talking with other Christians, I have noticed that most are tempted to skip over lists of names in the Bible and at best to skim them. I think we realize every word of the Bible is inspired for our benefit. But beyond that it is a mistake to overlook these lists for several other reasons. First, they often include details that make it easy to apply truths. For example, Nehemiah 3 lists the names of people who worked on the wall. In verse 5, he says that some nobles of the Tekoites did not lift a finger to help. Later in vs. 27 it says the Tekoites made other repairs, meaning they did double duty without all of their potential help. Secondly, names matter to people who know the names because names tell the stories of history. If I gave a list of names that included George Washington, Abraham Lincoln and Franklin Roosevelt, most Americans would find the list interesting based on what these men accomplished whether it be good or bad. If our role is to understand the Bible as closely to how the original audience understood it, we want to learn who these people are in biblical lists the way the original audience did. So when Matthew begins his Gospel with a list of Christ’s ancestors from Mary and Joseph back to Abraham, we do well to try to note the significance of the names given. The opening to any writing is crucial to understanding the point of the writing. 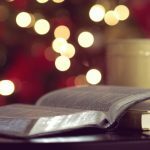 The fact Matthew begins this way leads me to believe we need to understand the family and people Christ was born into in order to understand his Gospel. Space does not permit a treatment of all 42 names. Many of them I do not have the knowledge to say anything edifying about. But I do want to look at a few through a series of facts about a few persons in Christ’s lineage. These facts can help us understand why Christ came to earth. We will see how his human family tree teaches us about how God views humanity as a whole. In the process, we will see how we should see Christ himself. [N]ames matter to people who know the names because names tell the stories of history. 1. Matthew’s genealogy features five women. It has been noted by many people that women were often second-class citizens in 1st century Jewish and Roman culture. However, throughout the New Testament women are shown to have played a key role. Matthew has several prominent women. Although a sinner like all of humanity, Mary is honored in Matthew as the mother of Jesus. She was also honored to be present when the wise men came to pay respects to her son, the Savior (Matthew 2:11). Women were also recorded as the first witnesses to the resurrection of Christ (Matthew 28:1-10). While nearly all of the apostles fled when Christ was arrested, it was women who followed Jesus until the very end (Matthew 27:55). But that wasn’t the beginning of God’s honor of women. The opening genealogy of Matthew highlights their value from the very beginning. Matthew with their importance as faithful servants in Christ’s coming into life and then suffering through but ultimately defeating death. Women, especially by name, are scarce in Old Testament genealogies. Matthew is doing something unique. Women make up a whopping 10% of his names. 2. Four of the women mentioned are Gentiles from nations that were often Israel’s political and religious enemies. Tamar was a descendant of Ham, a Canaanite, the people who occupied the promised land for centuries before the Jews took it back via war. Rahab was from Jericho, another city the Israelites had to conquer on their way to the promised land. Ruth was a Moabitess, a people that were banned for 10 generations from entering the Lord’s Assembly because of their hostility to Israel when they came out of Egypt. It is also worthy of note that Ruth was a poor, widowed immigrant, filling three of the categories God told Old Testament people to care for (Leviticus 19:9-10). And Bathsheba (“Uriah’s Wife”) was likely a Hittite, another group often listed alongside the Canaanites for having occupied the land that God gave to Israel. What can we take from this? First, we can see that Christ somewhat multicultural. He had blood from several people groups. He was not a 100% ethnic Jew. For a people chosen by God to be the people through whom Messiah came, this is significant. Many Jews did not like hearing that Gentiles could be favored by God (Luke 4:16-30). But God is a God who cares about all nations and peoples. Ephesians 2:11-22 teaches that Christ’s death was supposed to tear down the wall of hostility between Jew and Gentile. He shed his blood to bring nations together. Is it not fascinating that his blood line also declared his connection to Jew and Gentile alike? Matthew points out that Jesus’s blood combined a lot of Jews with four Gentile nations. His Body (the church) must actively seek to do what his blood did from birth to death–bring nations together to worship Him. Some of the greatest people in the Bible were easy to overlook because they were poor or of the wrong ethnicity. He shed his blood to bring nations together. Is it not fascinating that his blood line also declared his connection to Jew and Gentile alike? Secondly we can also see how God is no respecter of persons. It does not matter the degree of one’s wickedness; if a person like Rahab follows by faith, God accepts him or her. The Bible teaches that we are all God’s enemies before we come to Christ (Romans 5:8), so we must be careful when viewing any group of people as God’s “enemies.” God can save anyone out of any situation. Ethnicity is irrelevant to him. 3. Matthew’s genealogy contains the kingly line. 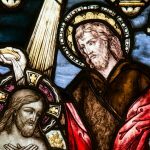 One of the most obvious differences in Matthew and Luke’s genealogies is that Luke lists King David as being the father of Nathan while Matthew lists him as being the father of Solomon, who succeeded him as king. In addition, the Matthew genealogy chronicles a succession of kings until the deportation of God’s people out of their homeland. 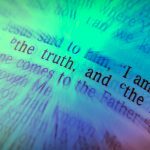 Matthew’s list is the genealogy of Jesus through Joseph and not Mary, so while Christ was not physically descended from King Solomon, Matthew is highlighting his legal lineage with Joseph as his adoptive father. Christ was indeed to become king. He was and is still considered the “King of Kings” to his followers (1 Timothy 6:15; Revelation 19:16). What does this teach us? Matthew portrays Jesus as a King from beginning to end: the wise men sought him out as king of the Jews (Matthew 2:2). His enemies scoffed at him for claiming to be a king when he died (Matthew 27:42). Some form of “king” or “kingdom” is used in Matthew more than the other Gospels. 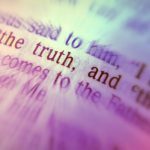 Jesus preached constantly about the “Kingdom of Heaven” and recognized his kingship both to his followers (Matthew 21:5) and to Pilate (Matthew 27:11). Jesus was a king, but not a king like David or Solomon. He associated with and served the lowly. He didn’t live in a palace and sometimes even appeared to be a roaming vagabond (Matthew 8:20). He came to serve, not to be served (Matthew 20;28). Jesus, the highest king of all, lived humility. He showed His followers how even the greatest serve the lowest in his kingdom. He desires us to be poor in heart (Matthew 5:3) and modeled this.The greatest in a line of great kings did this! 4. Matthew’s genealogy doesn’t hide God’s people’s worst sins, but highlights God’s ability to use it for His Glory. If you read the story of Tamar and Judah and how Perez came to be born in Genesis 38 (I won’t give the details, but I strongly recommend reading it carefully), you may be surprised at why Matthew would mention it so plainly in the familial history of Christ. If you read the story of how David came to be with Bathsheba in 2 Samuel 11-12, you may be surprised why Matthew mentions her. It is like he made sure to remind his first readers of who Solomon’s mother was. You may be surprised to find out that many of the kings in this genealogy were wicked men. Jesus came from adulterers and prostitutes and murderers and idolaters. We all fit in at least some of these categories. And so Matthew makes sure to remind us that Jesus was born not just into a dirty, sinful world, but into a dirty, sinful family. Yet, I think God did this on purpose. All throughout the Old and New Testaments, God highlights the failures of men – from Moses to Jonah to Peter to Paul. And it is not to trash humanity unnecessarily and haughtily. It is to remind us of why we need Jesus in the first place. Jesus came from adulterers and prostitutes and murderers and idolaters. We all fit in at least some of these categories. And so Matthew makes sure to remind us that Jesus was born not just into a dirty, sinful world, but into a dirty, sinful family. We know Christ was without sin (2 Corinthians 5:21) but we know that he was fully aware as a human what humans were capable of. His family and his followers in general were not without sin. They needed his birth for the same reasons we all do. God values women. God values all nations, even those who are hostile to him and his people. God values humility even in the highest positions. And God values taking broken, messed up, sinful situations and using them to produce the most amazing things that there can be, even the birth of a Savior. We get this from every genre in the Bible – narratives, letters, psalms, even ‘boring’ genealogies. 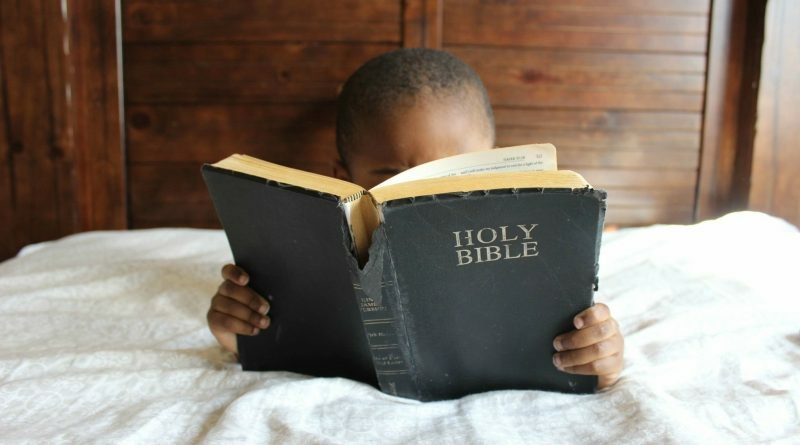 Therefore we must appreciate them for what they can teach us about God and how he sees us and how Christ connects us to him. 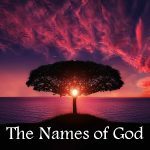 Names are stories and in the Bible the are The Story of God’s redemption of man to himself. Thanks for a good article on the importance of the genealogies, especially the genealogy of Christ. Good thoughts! Gowdy, I enjoyed going over this enormously. It is very apparent that you really know you are talking about. I look forward to what more you will be churning out for us. Items 1 and especially 2 are always worth some time to think about. Thank you.